People believe that the other end of science is religion. And I added that the magic is in between. If one starts from the religion side, he will end up with science and vice versa. It does not matter which end you begin your journey, you must first pass through the test of magic. I have experienced magic, hope you will too. All materials are for entertainment purposes only. · Brew a cup of yarrow tea. · Arrange 8 candles in front of you forming the shape of a star, and then put a glass of water or a crystal ball in the center of the star. · Drink the tea then gaze fixedly into the glass or crystal ball, and chant the below incantation 8 times. · After chanting, relax, breath slowly and concentrate on opening your 3rd eye. Do not permit any negative thought to affect you while you are involved in this ritual. · This ritual is permitted to be done of any time you feel the need of knowledge or the need to know something not easily known. 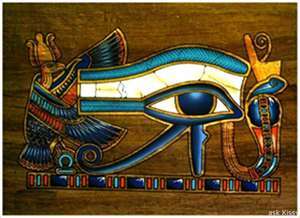 “I invoke you oh Ra. And seer of all matters. I ask now to open my eye. And show me what I haven’t yet seen. Let me see what is coming. Let me see what has gone. Let me enter into the hearts and souls. Let me see and make sense of this. Of the sights that can be seen. From the directions of the Ra. Whenever people talk about “Cik Siti Wan Kembang”, many of us will think of Kelantan; more so because Kelantan is named “The State of Cik Siti Wan Kembang”. Che Siti Wan Kembang is the legendary queen regnant over a region in the east coast of Peninsular Malaysia, which is now encompassed within Kelantan state. She is believed to have ruled from 1548 to 1580, while other accounts state that she ruled in the 14th century. Che Siti was famous for her beauty and wisdom. According to one account by the famous Muslim traveller Ibn Battuta, who visited Siti Wan Kembang in 1345, he was enchanted by her "fair complexion" and "appearance of a Turkish princess". In his records, he identified her as Urduga. This description was said to fit Che Siti as she was of Arab blood and was descendant of the royal lineage of Champa-Kelantan-Patani. Ibn Battuta mentioned in his records that the queen was able to converse in fluent Turkish. She was also known as a warrior princess and was said to be able to enter battle on horseback with a sword with an army of female horse riders. It was said that she and her adopted daughter, Puteri Saadong had mystical powers. Kelantanese are very proud of their history and the deer generally symbolizes Che Siti Wan Kembang as it was her favourite pet. The current state emblem of Kelantan has two deers which represents Kelantan's rich history which can be traced back to the popular queen. According to certain historical records, Che Siti Wan Kembang was born in 1585. Her parents were Raja Ahmad and Cik Banun, both of royal lineages. Raja Ahmad was crowned Ruler of Kelantan in 1584. However, Raja Ahmad died in 1589, when the princess was only 4 years old. Therefore Raja Hussein of Johor was made Regent of Kelantan. Che Siti Wan Kembang ascended to the throne of Kelantan in 1610 AD upon the death of Raja Hussein. She was said to have resided in Gunung Chinta Wangsa, Ulu Kelantan, located approximately 40 km from Kuala Krai. Che Siti never married, and therefore never had children of her own. She adopted Puteri Saadong as her daughter. 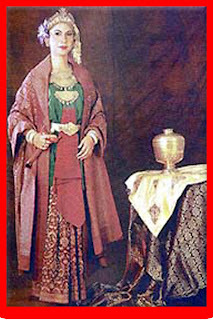 Puteri Saadong was the princess of the ruler of Jembal, whom Che Siti had close ties with. Legend has it that Che Siti never died but instead "disappeared" into the mystical world, and reappears from time to time. After her "disappearance", she was succeeded by her adopted daughter, Puteri Saadong, who was the youngest daughter of Raja Jembal. The above picture shows a cenotaph of Mr. Sun Yet Sun. A cenotaph is a graved buried with the belongings of a deceased such as clothing and other items. This is because the body of the deceased cannot be found or has been buried in another place. So a cenotaph is set up to commemorate the person. I have a friend whose grandfather died during World War II period. As his body nowhere can be found, he has to bury his grandfather’s clothing and personal effects instead. The answer in the Feng Shui practice is that it is acceptable and the effect is the same as the actual grave itself. Many actual Feng Shui cases have proven that the Feng Shui of a cenotaph can indeed affect the descendents of the deceased as with the actual tomb. Another popular method in attracting luck or to prolong life is the “foundation of life” method, or popular known as “生基”. This method utilizes the same method as the cenotaph; suffice just to put in some personal belongings in lieu of the living person. The subsequent effect good or bad can be felt directly by the host. If a cenotaph or foundation of life are sabotaged, then very bad effect will befall the descendents or in the second case; the descendents of the cenotaph. I never realised that blog writing can be a risky business. Many times those magicians out there wanted to catch my soul or to attack me with magical beings because I have exposed their secrets. Thanks to the Taoist ‘hiding’ methods that I can be safe from all those unscrupulous people. · Prepare a piece of soul hiding talisman as shown. · Write your personal particulars on this talisman. · Prepare a short note to be written on a parchment paper stating the reasons why you need to perform this ritual. · Gather some hairs and finger nails and put into a small earth urn and then sealed with the above talisman. · Choose an auspicious date gather some pine leaves, peach leaves and some weeds; go into the forest and look for a boulder. 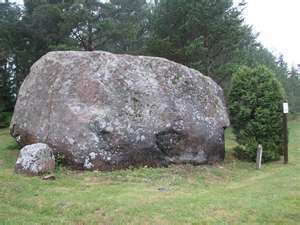 · Dig a hole under the boulder and tug the earth urn under the boulder. Cover the urn nicely with earth so that no other people will be able to discover this urn. · Spread the leaves that you have collected around the boulder. · Read out what you have written on the piece of parchment paper. · Burn the paper after complete reading. · Go home without looking back. This ritual will normally last for three years. Other related method is the ‘water’ method. If the magicians out there have not gotten their hands on me, then you will have the opportunity to read about the ‘water’ method J. 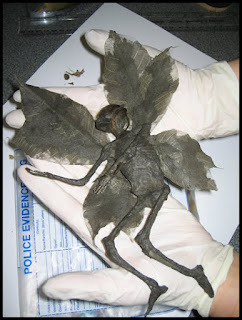 The picture depicted the remains of a real fairy found in Derbyshire countryside, UK. Unfortunately it was later found out as an April fool joke. Don’t you think that it somehow resembles a Jenglot in SEA? · Perform the ritual on the night of a full moon exactly midnight. The ritual should be finished within one hour’s time. · First, gather some salt, a bottle of pure olive oil, and a stick of white chalk. · Enter into a forest; find a tree nearest to your home where the leaves of the tree stay green all year. · Then sprinkle a ring of salt around the tree, followed by a smaller ring with olive oil. · Once the two circles are drawn, talk a chalk and write on the tree trunk the following words “Yahweh ELohim”. · Now the ritual is complete, go home immediately. You should be able to feel the otherworldly presence in your house within 100 days. If you have tried the ritual, appreciate you can drop me a note of what type entity you think it is: Is it a fairy or something else? I think the world economic situation has taken its tolls. I can’t imagine why there are so many desperados out there wanting more money at all costs. Since there are so many requests keep flocking in, I post this ritual to all the desperados out there… And my purpose is to save my time in responding to similar enquiries in future. I also want to save your effort in fishing such a ritual from me. But, first thing first, I must warn you that this is a direct dealing with satanic spirits, the Legions or whatever you like to call them. For the desperados, I don’t know what you will get in return after trying the ritual; as I can’t answer on the Legions’ behalf. You will definitely get something. People who tried this ritual have gotten what they want, but also suffers from losing something that they didn’t expect. I would not like to elaborate here. If you still having doubt with the answer, then see how those people in your company stepping over your dead body to gain promotions. Don’t you also feel that your colleagues who do all kinds of favors for your ‘boss’ just to be the boss’s blue eye boys/girls are much much richer than you are J? · This ritual must be performed on the midnight of one day before full moon at a God forsaken place: the site of an old battlefield, slaughter house, murdered scene etc. Best if it is an open space isolated from general public. · Prepare 6 pieces of black candles, a ritual knife, a live goat to be sacrificed, incense and a piece of paper written on it what you want the Legions to do; it is best to sign in your own blood. · Go to the place at a designated place earlier as you will need to draw a large inverted pentagram on the floor. The diameter of the pentagram should be at least 6 feet; but best if you can draw a 12 feet pentagram. · After you have completed the pentagram on the floor, draw a door in the center of the pentagram. · Dig a hole in the center of the pentagram that is deep enough to bury the goat. · Now, stand outside of the circle and light the first black candle. Put the candle at one point of the pentagram. Recite: “Elohim Iblar Allan”. Then read whatever has been written on the paper. Burn the paper once completed reading. · Take a second black candle, light it with the first candle and put the candle on the second point. Extinguish the first candle. Repeat until you have the 6th candles in the hole. 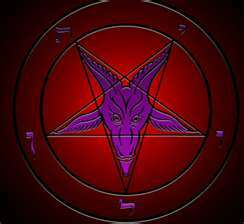 · Sit in front of the hole with your goat, look into the candle in the hole and recite “Elohim Shaitan”. Then meditate for a short while and wait for a sign: a gust of wind, the sudden still air in the environment etc. · At this point sacrifice the goat and let its blood flow into the hole. Once this is done, throw the carcass into the hole. Bury the whole and leave the place at once. · Do not visit the area for 2 weeks. · If the ritual is fruitful, your wish will be granted in 100 days time. · The Satan may or may not appear in front of you. Except the desperados, for the good people out there who are satisfied with their own life; stay away from this ritual. What you may lose, may be more than what you gain! For the desperados, I pray for your well being J. My answer is always a Toyol can only steal petty cash, small amount that is enough for a person to survive each time. There is also a rule that a Toyol will not empty all of the money at one time as it is an unwritten rule: one can take some money from a person, but one must also let this person survive. So, based on this principle that a Toyol will not let its victim suffers from hunger. o Using dowsing rod to detect treasures etc. 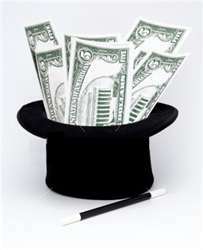 Money related rituals have been very popular topics until today. I can see why so many people asked me the same question repeatedly. Well, it is a big topic to explore really. As usual… stay tune J. Standard love magic only lasts for a week or so depending on the Khodam or spiritual training of a person. Not many people realise that there is a ritual to achieve sustainable love affairs. As whether this is a blessing or curse, I will let you decide yourself. Basically this is a ritual to super charge or boosts your love magic once it has taken the initial effect. With this ritual, the love between you will remain sustainable until or beyond the grave. The person will not change his/her mind easily and loyal to you alone. So this ritual is not meant for getting new love, but to sustain love affairs. · Recite below prayer before going to bed. · Recite below prayer before meeting the person. kimpoikan padaku, serah kepada Allah berkat do'aku. I am not responsible for any side effects should you want to try it. · If banana heart petals and bera taro leaves are sprinkled around a room, then the Orang Minyak will be trapped. At this point if a piece of batik cloth is used to cover this Orang Minyak to weaken him, and his thumbs are bitten, the Orang Minyak will die. · Orang Minyak is afraid of rains because water will make him visible to others. · He is also said to be afraid of mirrors. 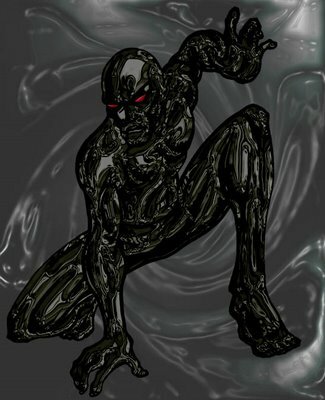 Frankly, I don’t have too much information on this Orang Minyak; so my conclusion is that an Orang Minyak must be the working of a physical criminal covered himself in black oil; the magical aspects are non-existence. That is really a good thing as considering how much harm one person can do to our society. However, if you have any information of Orang Minyak and willing to share; then kindly let me know.